Environmental Tillage Systems (ETS) welcomes Adam Rodgers to the team as the Engineering Intern. Adam will have many opportunities to contribute to the growth of the company through his internship responsibilities. Adam hails from Northfield, MN and will be a senior this fall at the University of St. Thomas where he is majoring in Mechanical Engineering. In his free time, Adam enjoys fishing and running. He plans on running the Twin Cities Marathon this upcoming fall. Adam commented on his summer internship saying, "I am extremely excited to work for ETS as this internship will provide me with a great learning experience. I look forward to learning from the current engineers and working on projects that can help improve the company." 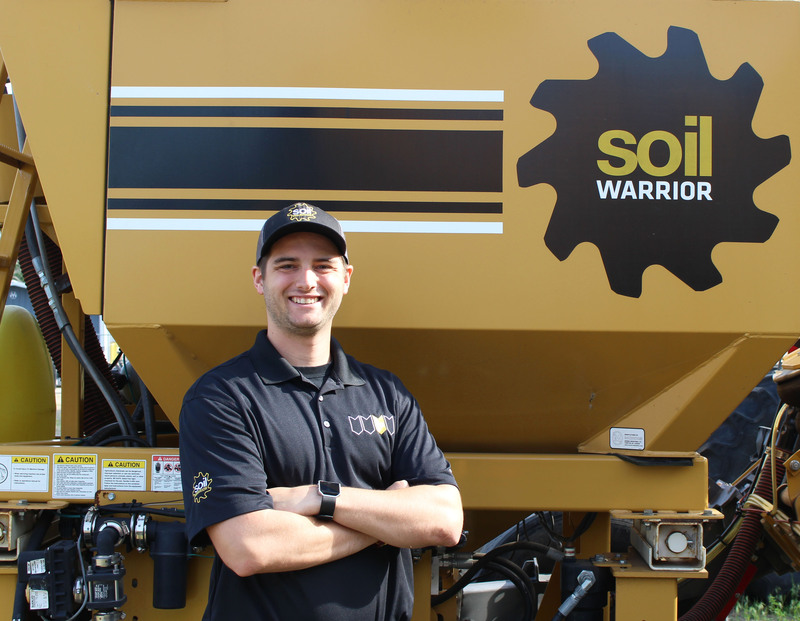 This summer, Adam will be focusing on all aspects of engineering of the SoilWarrior product line. He will be involved in duties ranging from prototyping to field testing and anything in between. Environmental Tillage Systems is a premier manufacturer of zone tillage and nutrient placement equipment in Faribault, Minn. Its flagship product is the SoilWarrior, a complete strip-till system that enhances soil productivity and farm profitability. ETS products set the standard for in-field performance, machine durability, and ease of operation. Founded on a farm in southeast Minnesota, the company serves clients across North America and internationally. To learn more, visit soilwarrior.com.